I never imagined when interviewing for this position just a few short months ago that I would come away with the knowledge I now have about the Orange County wildlands. 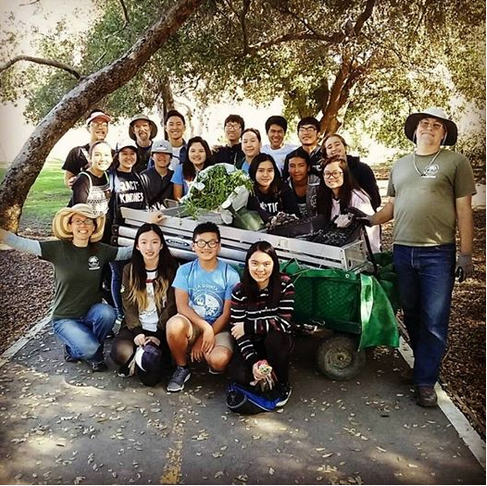 This summer internship has taught me not only a lot about the various native plants of the Orange County area, but additionally about the operations of a non-profit. When first applying for this internship, I did so because I really bought into the message of restoring and conserving the area that I grew up in through restoration and conservation techniques using native plants and biodiversity. Following my 100 hours with Back to Natives, I have come away with a better idea of what kind of plants are more suitable for this kind of environment to lower water usage, prevent wildfires, as well as the native plants that are the most aesthetically pleasing. What I enjoyed most about this position was having the chance to have conversations with so many people that are all dedicated towards one common goal. In talking to members of the board as well as the other interns, I was able to come away with a better understanding of what it takes to make a program like this successful. I was very impressed with the dedication of the other interns that I worked with, which in turn made me want to put in the time and commitment to working hard every time I had the chance to do so. So many great people are involved in this operation, and it allowed me to come away with a very positive outlook on the environmental movement as a whole. 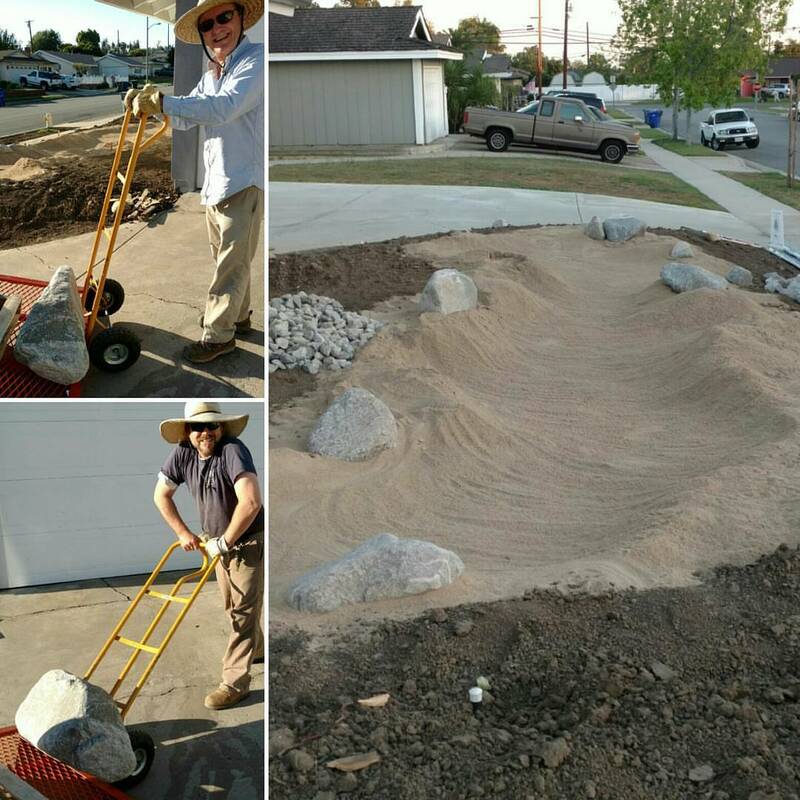 The Native Plant Reserve is 2.5 acres of undeveloped land that was donated from the Kato family in December of 2015. “We are extremely grateful to have received such an amazing and openly generous gift, and we look forward to being able restore the land,” said Back to Natives Executive Director Reginald Durant. 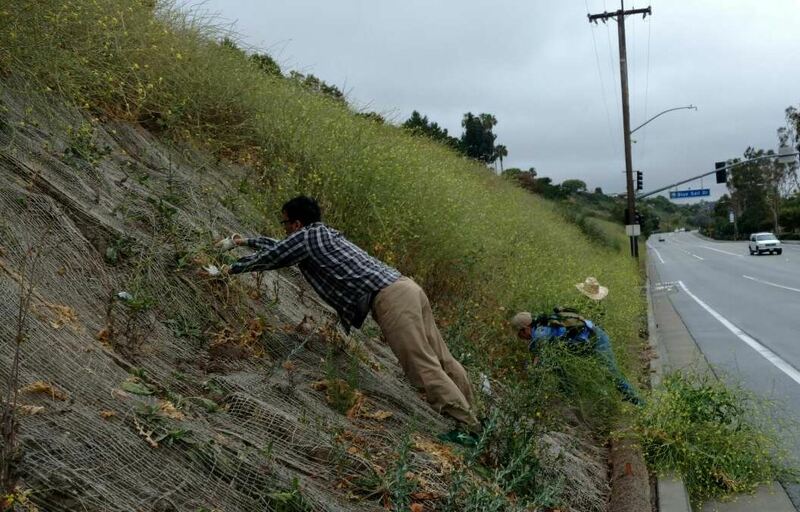 Initially a part of Kato Properties, the native plant reserve is now referred to as Cuesta Kato, meaning Kato Hillside. 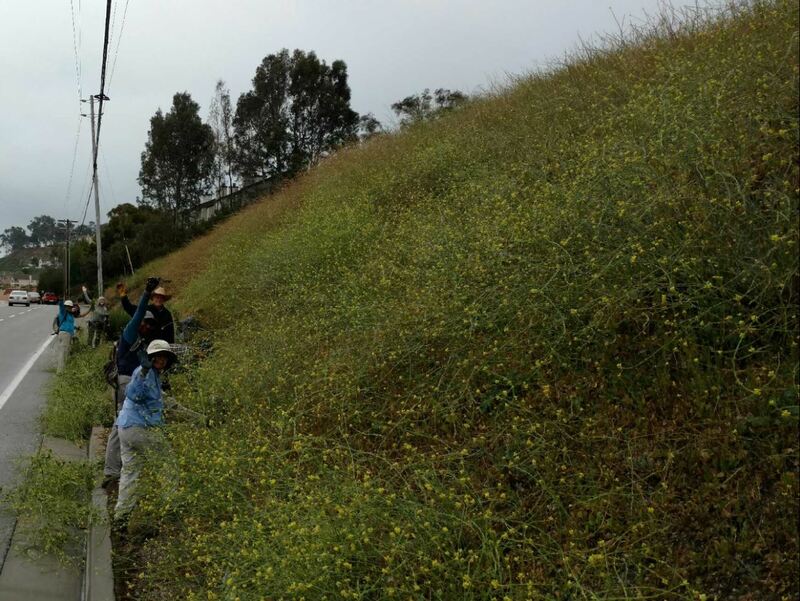 Native tarplant growing at Cuesta Kato! Our Board President poses in front of a giant Bladderpod bush at Cuesta Kato. 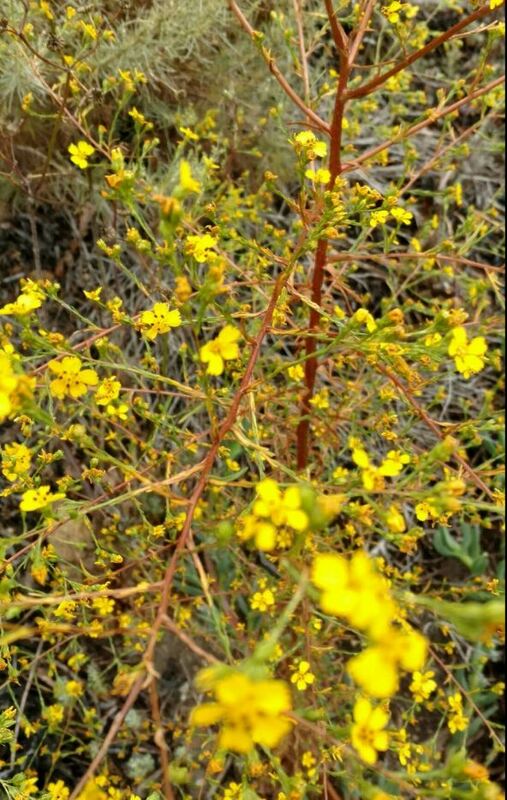 Last winter’s heavy rains increased the spread of mustard at Cuesta Kato. 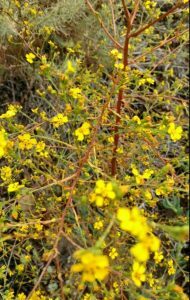 Not only is mustard a non-native & highly invasive plant, it’s also considered a fire hazard by the city of Dana Point. They want it gone and now. The city warned if the mustard is not removed soon, they will completely mow the reserve! If this were to occur, all the new emerging native plants – and the animals that have made their home there – would be destroyed and everyone’s efforts to save this habitat, will have been in vain. We need your help to save the habitat, and here is how. You can volunteer to assist us in removing the mustard at Cuesta Kato on any (every, if you like!) Friday and Sunday from 9 a.m. to 12 noon, now through the end of July. The mustard is currently still green so if cleared before it dries up from the summer heat soon to come, we can prevent the mowing of our native plant reserve. Sign up here today to help and contribute to saving the environment, one habitat at a time. Nature thanks you! What College Major do we recommend? Here at BTN we are asked all the time: “what College Major do we recommend?” This is not an easy answer on the one hand, but a very easy answer on the other. First and foremost we recommend you major in specialty that YOU love and enjoy and can see yourself working in the rest of your life! That is the key to success and happiness. To love what you do, and do what you love. Be sure that you know what this is, as a hobby can become a tormented existence if you force it to be your career. Keep some things for play, and enjoyment and relaxation, but make your passion work for itself. Your passion will drive your actions anyway. Make it drive you to success and happiness. Don’t have a passion? Don’t worry, that is what your undergrad requirements are for. To expose you to as many topics and disciplines as possible before you decide to specialize in one. So don’t choose your major too early, or else you may never experience your one true career love, and are instead forced to settle for the discipline you have taken the most classes in. But not to worry, even if you majored too early. 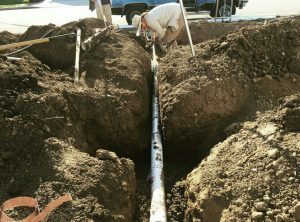 Associate’s degrees can still lead to a completely different Bachelor’s. And a Bachelor’s can lead to a completely different Master’s. Just recognize what you love, and what you love DOING! These are two different things. We cannot tell you what you will love. We cannot tell you what you will succeed in. And we cannot tell you what will be easiest or most difficult for you. That is an individual thing that only you can decide as you experience life and your education. We can tell you to be honest and upfront with everything you do. Adhere to academic honesty. Cheating in school or college just sets you up to fail in real life, as you will have prevented your own success by removing the likelihood of acquiring the tools you needed to succeed in your discipline. Nobody likes a cheater. What we can tell you is what Back to Natives Restoration needs! We need Biologists, (and all of the specialized areas of biology) because we perform habitat restoration for animals! 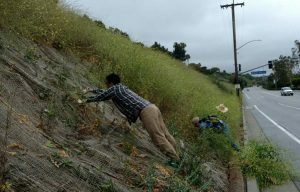 We need Botanists, because habitat restoration is performed by identifying native versus nonnative plants and removing the nonnatives! We need geologists and soil scientists, because identification of plant communities are based on the soils! We need GIS specialists, because we need to map our project sites and establish master plans for restoration, trails, species conservation etc. We need Office Managers, (because we have an office!). We need communications specialists because we communicate with the community through social media, press releases and graphics! We need actors/teachers because we teach and perform in front of audiences daily. And not all scientists are up for that, so we need surrogates at times to bring the facts of our studies and research to the community! What we don’t need: Environmental Studies or Environmental Science Majors. The Environmental Studies major prepares you with none of the science we need for you to be prepared with to be a biologist or botanist, nor the specialty of any of the others listed above. Instead it tells you what is wrong with the world and provides you with no tools to fix it outside of policy. And the Environmental Science major gives you enough science to really know what is wrong with the world and provides you with no tools to fix it. Everyone is an ES major now. So if everyone is an ES major, how many jobs require an ES major? None that we know of. With a biology or botany major, you still may not know the locally native animals and plants, but at least you have the tools to key them out. And we can teach you them based on the skills you acquired in school. So please, reconsider the Environmental Studies or Environmental Science major. We know of no organization, agency or company that is looking for these majors to recruit. And ALL of the colleges and universities are producing hundreds of thousands of these majors each year, and have scaled down or eliminated the biology spot recruitments, as it costs them much more money to teach those majors. But they are worth it! Take science! Chemistry, Math, Biology, Botany! They can be fun, all of them, with the right instructor! But mostly they can be fun if it is what you love and are passionate about. 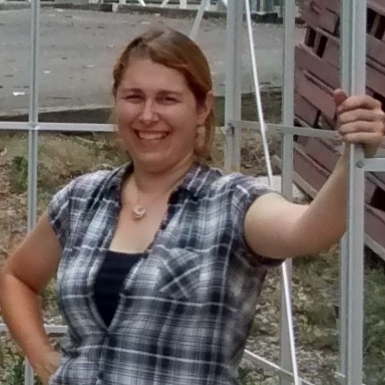 “I want to work with nature,” but don’t have interest in chemistry or ecological systems or interactions between plants and animals, or do not want to dig or get dirty. 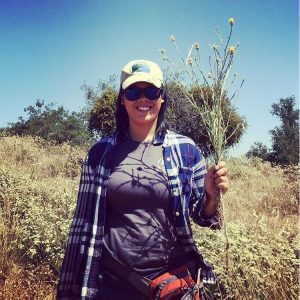 “I love plants, but I hate math and chemistry.” Then you would hate Habitat Restoration. 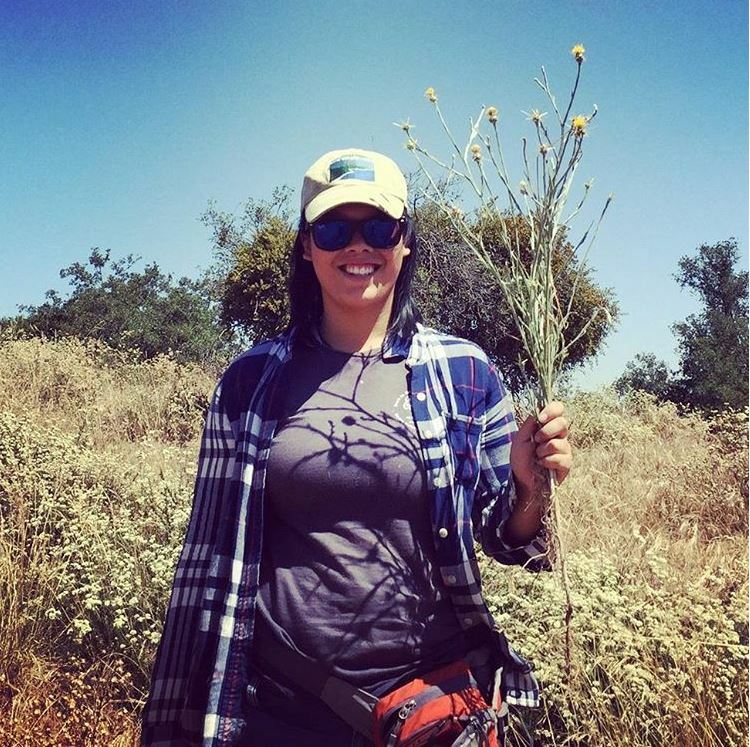 We must measure sites and plant growth, and count, and add/tally, and create percentages of cover, statistics of pollination, animal usage of sites and plants, identification of soils through texture, sight and chemical analysis, water quality studies through chemical analysis, and much more. “I want to work with plants.” Great! We pull hundreds of thousands of weeds per year! How is that for working with plants? If we achieve our eradication goals, we hope we will have time to collect seed and potentially spread it at our site, or propagate it at our licensed nursery. “I love hiking, but I don’t like to stay on the trails or clean my shoes between trails.” WHAT? BTN only goes off trail when performing habitat restoration. 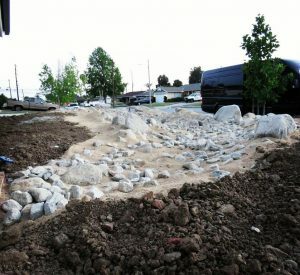 Just because we work with land managers to perform habitat restoration does not exempt us from the destruction that going off trails causes: erosion; biological boundaries for small animals; destruction of seedlings in creek beds or soft soils; compaction of soils and prevention of new flora volunteerism and much more. When you go off trail you are destroying the very thing you think you are loving. So stop it and stay on the trail! And not clean your shoes? Do you have any idea how many nonnative seeds one single shoe can carry? Or how many pathogens can now be spread just by walking through an infected area? Look at the new weed maps being created. And the people that are creating these new weed maps are actually SPREADING the weeds. The maps show that the first three times they visit a remote area the weeds were not present, but for some mystical reason the next time they went, suddenly the weeds were there! 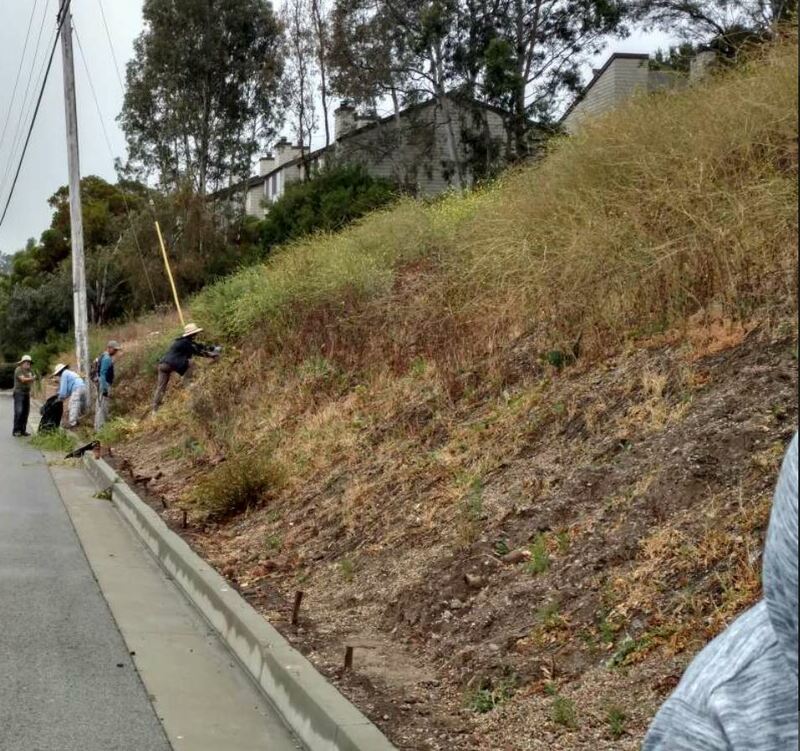 It is because these new, nonscientist weed mappers, are NOT sanitizing their shoes or tools between hikes to these areas, and so are spreading the weed seeds EVERYWHERE! It is so simple: You wash your hands to prevent spreading illness or becoming sick yourself. Then wash your tools and shoes to prevent spreading weeds and pathogens in the environment! Once again, these are science based realizations: pathogens, contagions, such as viral, fungal and bacterial vectors. These are taught in science classes, not policy classes. 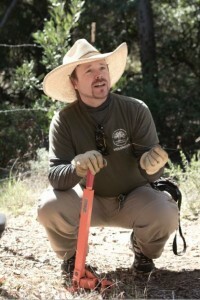 So please, if you wish to perform habitat restoration as a career, major in a science relating to that specialty: Ecology, Biology, Botany, Herpetology, Zoology, Ornithology, Ichthyology, Entomology, Mycology, Evolutionary Biology, Marine Biology, Geology, BioChemistry, Oceanography, Soil Science, Cartography, Geographical Information Science, and more under these disciplines. But also, we do need office people, and horticulturists and accountants, and much more. None of these require an Environmental Studies or Environmental Science degree. They require much more! If you’ve never visited the Spring Garden Show, now is your chance! As South Coast Plaza enters their milestone year celebrating their 50th Anniversary, they present the 28th Southern California Spring Garden Show at the beautiful South Coast Plaza in Costa Mesa, themed “At Home in the Garden”. The Spring Garden Show showcases a number of organizations that contribute to “green living” in the community in a number of different ways. Back to Natives has been invited to participate for the 8th year. The Spring Garden Show will be held from Thursday, April 27th to Sunday, April 30 th at the South Coast Plaza. The venue will be bustling with display gardens, seminars and more surrounding a garden themed center piece all in tribute to the environment. Last year, Back to Natives presented seminars about the benefits of creating landscapes with native plants as it saves water and provides habitat for butterflies and birds. This year, the focus will be on which plants enhance a landscape’s aesthetic, meaning guests will learn which natives not only make their yards habitable but also appealing to the eye year round. Back to Natives’ Executive Director Reginald Durant will be presenting three free seminars. 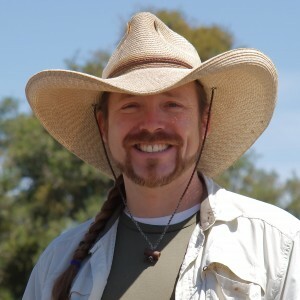 On April 28 at 2 p.m. and April 29 at 11:30 a.m. our director will speak on “Native Foundation Plants.” In this seminar, Durant will show participants native evergreens that can serve as the basis of a landscape year-round. Native shrubs can add texture and height, and seasonal color to the topography, while foundation plants enhance it by giving it a welcoming feel that also ties in to its surrounding area. 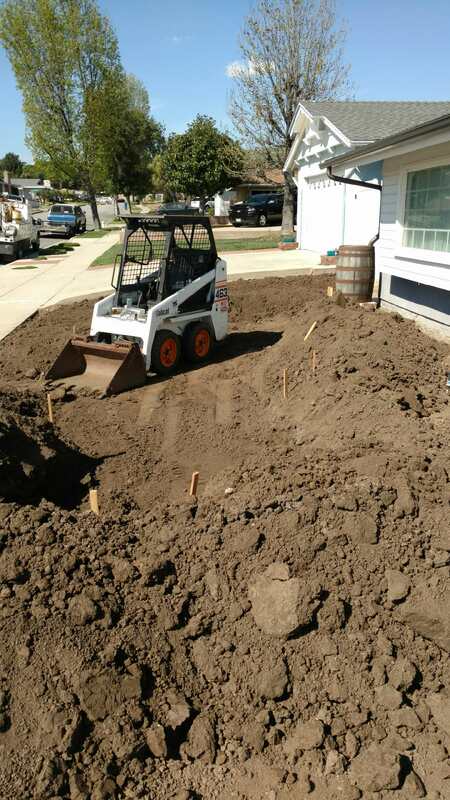 On April 30 at 11:00 a.m. there will be a presentation on “Saving Water Using Micro Irrigation.” As one could see from the title, micro-irrigation is a great asset to landscaping as it keeps your native landscape flourishing through a system that also preserves water. 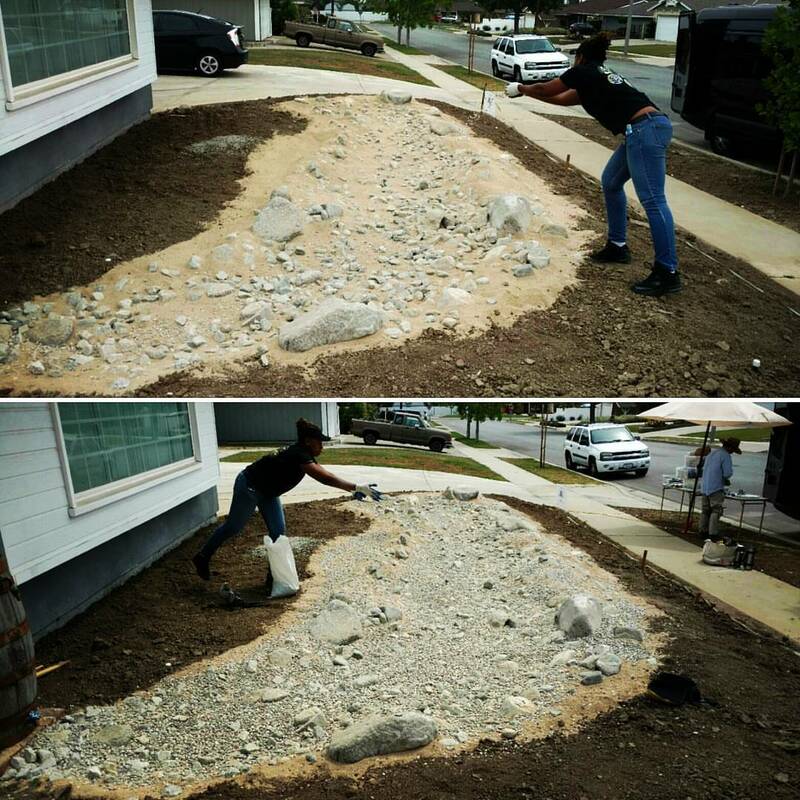 Director Reginald Durant – also presenting this segment – has used this method in designing and installing the landscape design for the first Platinum LEED home in Orange County, as well as for the first home in OC to earn the Build It Green, GreenPoint Rated designation. Who better to deliver the message? So mark your calendars for the last weekend of April as you will not want to miss out on this year’s Spring Garden Show at the South Coast Plaza. There is no cost to attendees, so spread the word and bring a friend! Each day of the show, Back to Natives will have locally native plants available for purchase on site. Plant sales raise funds for environmental education and habitat restoration programs. If you are unable to attend, plants are also available for purchase at the Back to Natives Nursery. For donation inquiries, visit our website to find out other ways you can make an impact. We hope to see you at the Show! Why Back to Natives does not grow, sell or plant hybrids or cultivars. 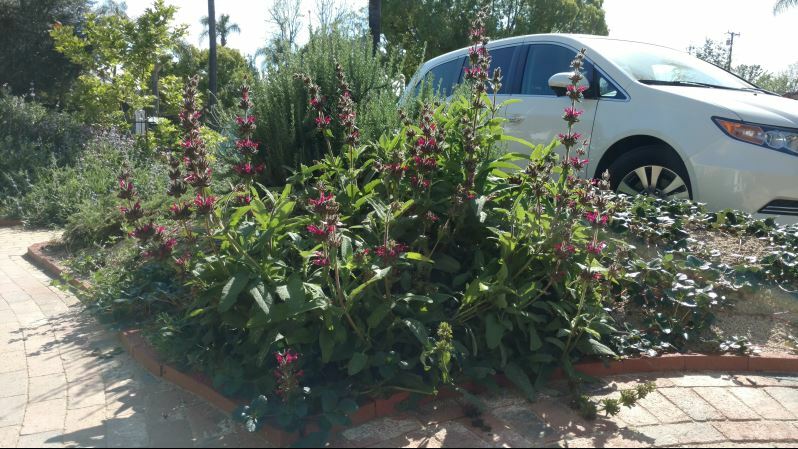 At Back to Natives Restoration we use only locally native species with no hybrids or cultivars in the mix. Cultivars and hybrids are two of the leading causes of species loss, right alongside habitat destruction and exotic species. California is one of 35 biodiversity hotspots, we are home to over 5,000 native species (and subspecies and varieties) within the California Floristic Province, with more than 2120 endemic to this floristic province. Most of these species are very much localized in the various parts of California, and taking those localized species to other parts of California is the same as taking other exotic species to those parts. Hybridization with closely related nonnatives means the loss of the local species, not the spread of biodiversity as so many believe. This is not taking a “purist” point of view, this is being a scientist that performs habitat restoration. Being scientists means that we must acknowledge that the spread of exotics means heavy competition with local natives. Being scientists means that we must realize that pop tarts are a poor substitute, nutritionally, for breakfast food, just as nonnatives are poor substitutes for locally native species for our locally native animals. If butterflies will NOT use hybrid Ceanothus, what else will not use them? And then, what about the animals that feed on the arthropod that are now absent because of the incredible numbers of commercially created hybrid Ceanothus? This is where science comes into play, not purism. The ripples that commercially created hybrids, as in hybrid species that would not naturally ever come into contact with each other in the wild (because naturally occurring hybrids are cool, but just as volatile, and the next step in speciation), are untold but far spreading. They can cause numerous cascade failures in an already unstable eco system that is the California Floristic Province. There is no room for compromise on what is native to a region, area, county, etc. We must be true, scientifically speaking, to the species historically found here, or risk losing all. Friends and Community members, please hear me when I ask you to please NOT purchase any “named’ plants. Quotes around their names indicate that they were named by their creators in the nursery or horticultural center. These are NOT California Natives. They are NOT native anywhere as they were created in a commercial nursery or propagation program usually crossing two or more species that would NEVER have come in contact with each other in the wild. Margarita BOP Penstemon is NOT native to California. It is biological pollution and doesn’t even perform as it is supposed. 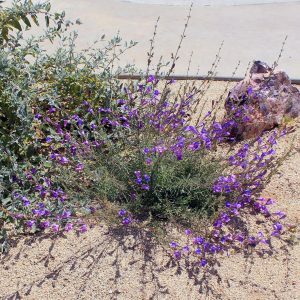 Just use the real species, if it is native to where you are, namely Penstemon heterophyllus, Foothill Penstemon (which by the way is special enough as it is ENDEMIC to California!). In California, There are over 6,000 species of native plants, in the California Floristic Province (which excludes the eastern sides of the Sierra Nevada and Peninsular and Transverse ranges, and includes a small portion of Oregon and a small portion of Baja California) there are 5,000 native species of Plants. It must have more than 1,500 species of vascular plants Endemic (found no place else on earth) to that ecoregion. California has 2,120 species of plants that are Endemic! 70%of the original habitat area must have already been destroyed. California has lost some 80% of its original natural areas. 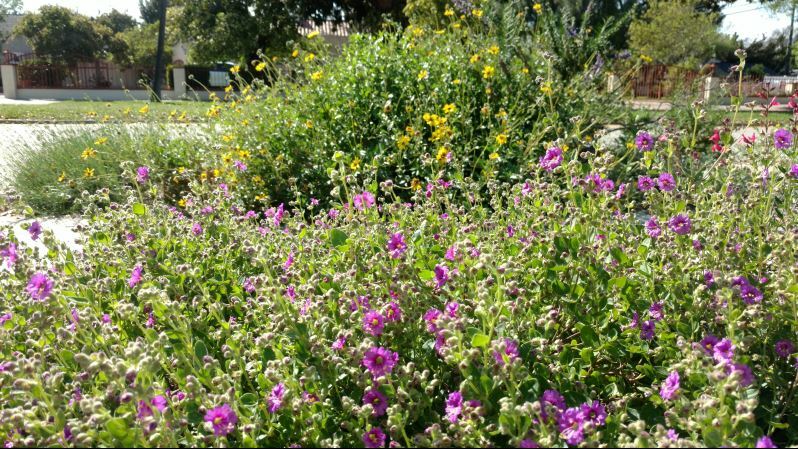 In Orange County alone we have less than 20% of our open space left, and less than 15% of that open space is still covered with native plants. 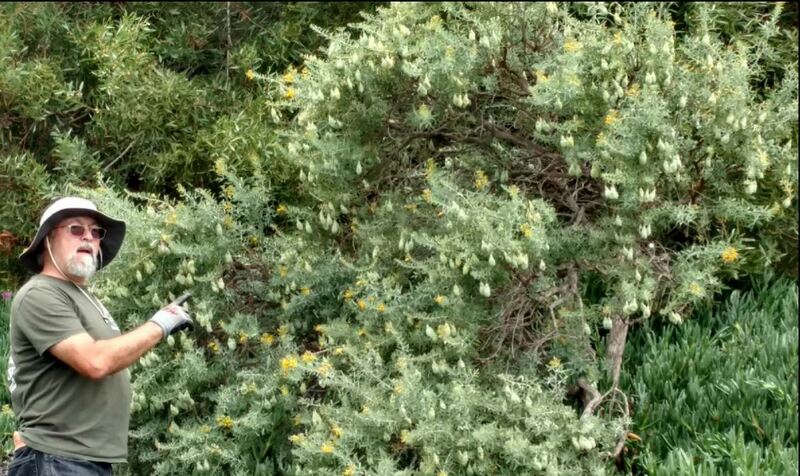 These endemic species, as mentioned above, are highly localized within our California Floristic Province. If you move them around to areas they were never found naturally, you risk causing the loss of another locally endemic species that is closely related to the endemic you moved. Hybridization is one of the main stressors causing loss of species, aka extinction. For instance, Laguna Beach Dudleya, Dudleya stolonifera, is found on only two boulders in the entire world, both in Laguna Beach. But all 38 species of Dudleya (all endemic to the California Floristic Province by the way) will hybridize readily, causing the loss of numerous locally specialized and endemic species and sub-species. So no. We at Back to Natives Restoration are not being purists, we are being Scientists. I welcome your questions! Please send them to me via email and I may include my answer in this blog post for others to see. Biodiversity is crucial for our environment, and to maintain it in this particular region, the fountain grass must be pulled up. It multiplies much faster than the native plants – it outcompetes them – hence throwing off the balance needed for a healthy ecosystem. The weeding of the pennisetum is the main focus of the ongoing restoration program at Santiago Park Nature Reserve. 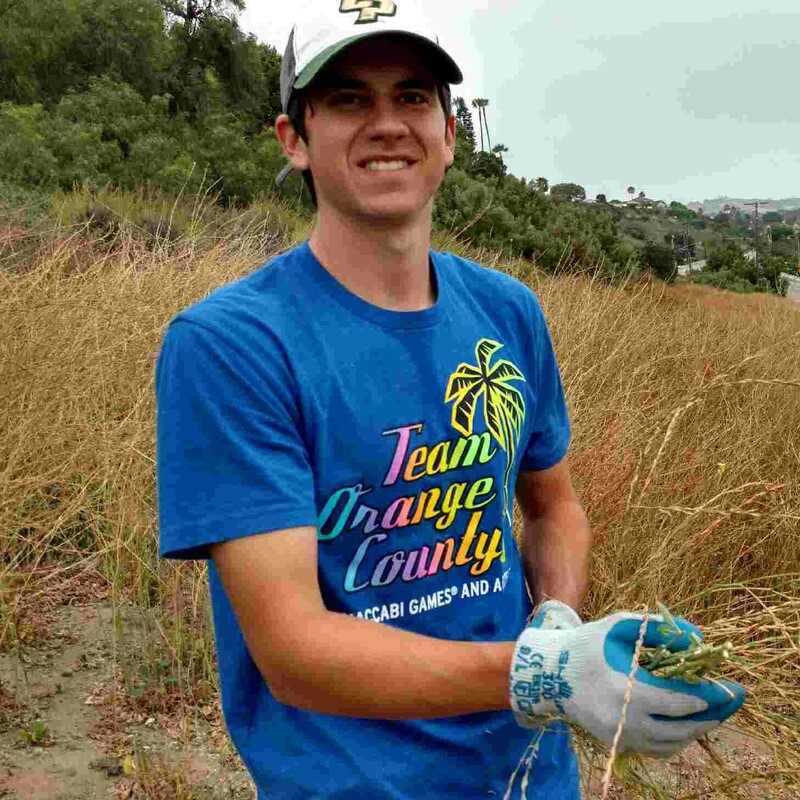 During the event, BTN staff, Green Shirts (volunteer leaders) and volunteers alike work together to remove as much of the fountain grass as possible from the roots to the seed fronds, replacing them with willow and mulefat saplings. Other volunteers, new and old had similar experiences! 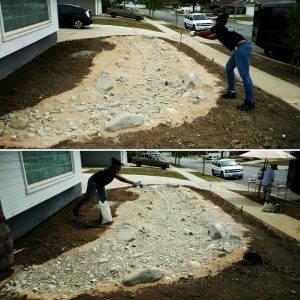 Cindy, a volunteer who attended a Restoration event once prior and returned for more, was more motivated by the joy of the work, but shared the same outlook on the event as Winston. 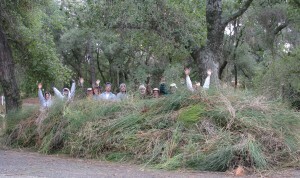 Back to Natives has plenty more restoration projects and volunteer opportunities to come! 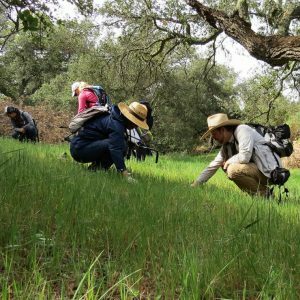 Join us in Orange County’s Cleveland National Forest in our efforts to restore the San Mateo Wilderness! You’ll get to play a part in saving the environment while getting a one-on-one experience with nature. For more information or to register, check our website. Don’t forget to bring a friend (they need to register too)! Unable to participate? Leave your mark with a donation to keep the earth moving. Every dollar makes a difference and what you put into the world, you will get out of it. Nature thanks you! 9th year of habitat restoration training scheduled! Back to Natives Restoration, in a cooperative agreement with the United States Forest Service in the Cleveland National Forest, will lead a hands-on training course for restoration volunteers from January 19 to March 4, 2017. This successful program is now in its ninth year. Participants will learn how to remove invasive non-native plant species using tools rather than herbicides. 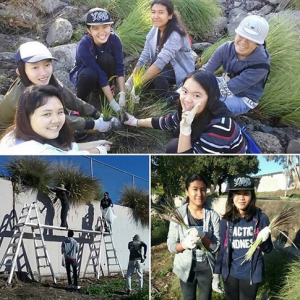 They will learn how to keep themselves and others safe in the field, how to manage restoration volunteers, and how to identify native and non-native plants. 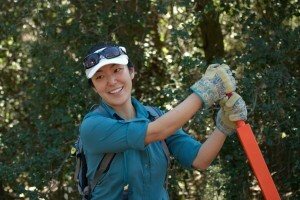 Graduates are eligible to lead volunteer groups in the National Forest. Volunteers and staff from all wild land agencies, organizations and non-profits are welcome to participate, and then share their new knowledge and skills with others. Ecological restoration is a means of sustaining the diversity of life on Earth and reestablishing healthy ecosystems. Successful habitat restoration ensures that native species are protected while non-native species are removed with minimal impact. 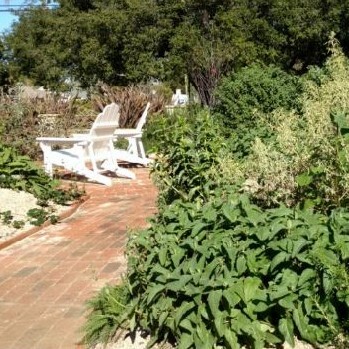 Nationwide, invasive plants cost us an estimated $33 billion per year. 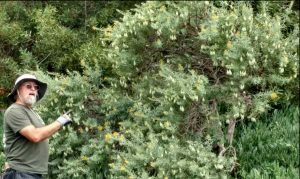 Invasive plants degrade wildlife habitat – they are the second-greatest threat to endangered species, after habitat destruction. Back to Natives strives to involve the community in the process of ecological restoration and conservation because it believes that a little “ecological enlightenment” and a chance to “get your hands dirty” is the best way to improve relations between people and nature.